Target Liberty: Michael Flynn Flips: Willing to Testify Against Trump!! Michael Flynn Flips: Willing to Testify Against Trump!! Michael Flynn will reportedly testify that President Trump instructed him to make contact with Russians during the 2016 presidential campaign, ABC News is reporting. This is developing story. Return to this post for updates. I called Flynn a nutjob early on. I tell you Flynn is insane, That he is so close to Trump is very disturbing. Trump has zero talent for picking political people around him. And from a policy perspective, it is only going to get worse. I put this post up yesterday: The Trump Administration is Getting Worse on All Fronts. All this said, it is difficult to understand what the crime is in talking to the Russians, a point that has been made by legal scholar Alan Dershowitz several times. 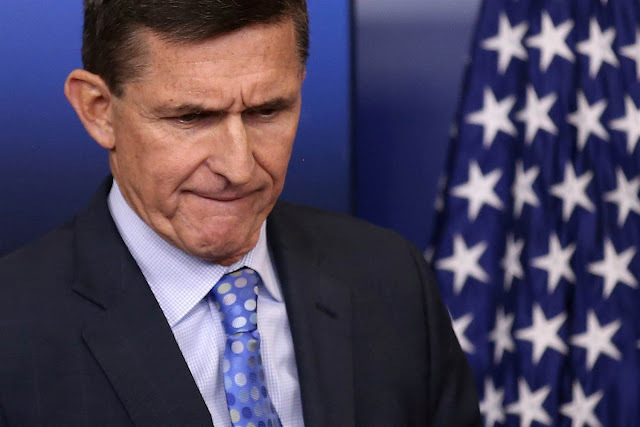 Flynn's just trying to get the best deal he can at this point. What is he going to testify to? That Trump was part of the Uranium One deal that Clinton, Obama, Comey, Mueller, and Rosenstein were all part of? This is going to be so fun to watch this unfold - and the blowback on the Dems will be priceless! As usual, they threatened to prosecute his son. Fathers, good and bad, insane or not, with sons guilty or not, will roll over to protect their children. Depends what Trump meant by "contact". It is completely normal for transition teams to speak with foreign ambassadors and counterparts. This is a whole lot of nothing. They were attempting to derail the UN security resolution against Israeli settlements. This is a direct violation of Logan's Act. Stupid for these people to be talking to the FBI and the special counsel's office. What lawyer in his right mind would ever have his client talk to these people?